We’d love your help. Let us know what’s wrong with this preview of Hiking Waterfalls in Minnesota by Steve Johnson. To ask other readers questions about Hiking Waterfalls in Minnesota, please sign up. Fairly solid descriptions of the Gopher State's waterfalls and how to get to them. Who would have thought there were a 100+ waterfalls in Minnesota? In fairness, small are fairly small and a few are really just cascades. 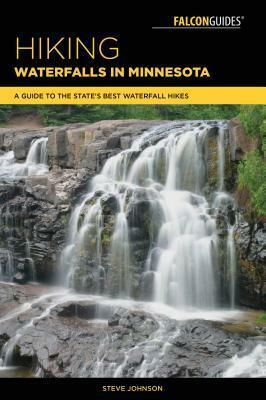 Still, if you're into waterfalling, this is the best book out there for Minnesota. Disambiguation profile for non-separated authors called Steve Johnson. *2. Steve Johnson, author of Crime and Mystery books. 6. Steve J Disambiguation profile for non-separated authors called Steve Johnson.